From highway construction to parking lots and landfills, the CASE SV210 offers high centrifugal forces combined with optimized frequencies and dual amplitudes to ensure maximum productivity. The luxurious cab provides a two-side access to the platform, excellent sight lines to the work area, and good rear visibility, perfect for maneuvering between passes. The SV210 is wider and lower than most of the competition, resulting in improved rim pull and better gradeability. Excellent gradeability is provided through the high-traction, hydrostatic drive system. Effectiveness on uneven or difficult terrain is enhanced by an articulation joint that oscillates as well. Comfort is increased with an ergonomic work environment and swivel seat that adjusts 50 degrees. Rear visibility is maximized with the sloping rear deck. 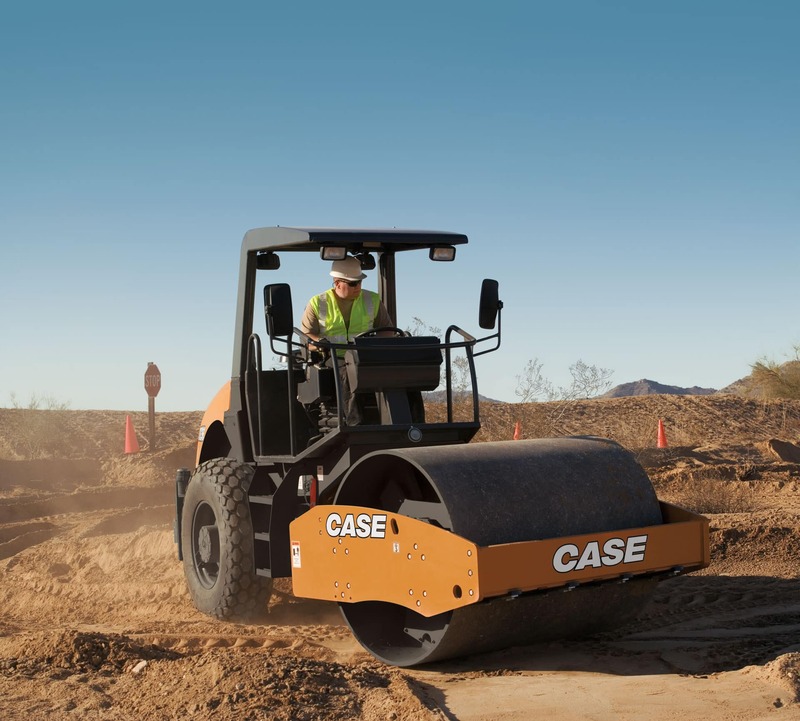 This machine offers outstanding service access with an easy-lift engine cover and operator platform.